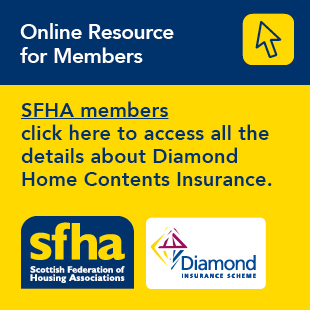 Homeowners across most of Central Scotland are being encouraged to make alterations to their homes to ensure they continue to meet future needs, as Inverclyde, West Dunbartonshire and Clackmannanshire join 12 other local authorities in supporting the Scottish Government’s Help to Adapt scheme. Help to Adapt encourages homeowners, aged 60 or over, to be proactive in adapting their homes to enable their long-term independence and quality of life. Uniquely it will help owners pay for the adaptations by using the equity in their own homes, and organise all the work for them. The pilot initiative, managed by Link Group, provides a personalised service which aims to deliver peace of mind for homeowners. It removes the stress of having to organise the installation of adaptations, such as stair lifts or handrails, and offers assistance to manage the process every step of the way. “Help to Adapt is helping homeowners to consider their future needs at an early stage, to plan to stay in control and have a choice about how and when they adapt their home. Over the last year, we have worked in partnership with individuals and with the Scottish Government to test and develop this brand new approach to enabling older homeowners to adapt their homes.